This weekend Michael and I are going to our first-ever Cash Bash. This concept has puzzled us for many years, but now we are officially going to go bash-some-cash! I gather it is just a ridiculous name to raise some funds: purchase expensive meal ticket, receive food and drink, bid on silent auction items, raffles are held. We reserved a table with a bunch of folks we know, so it should be fun. The tickets to this thing were not cheap. It is, after all, a fundraiser. But we are happy to support Isaac's school and to have a night out without kids. One more thing and then I will move on... one way this thing really sticks it to you is that they had the kids create some kind of art project that they are auctioning off. So not only did I spend $40 on a "dinner out" with my husband, but now I have to go buy some art work my own kid created because like hell he will be the only one there whose work doesn't get purchased. But again, it all goes to the school and I am happy to support it. Grumble, grumble. So glad we don't live in Atlanta anymore. I mean, that's not entirely true. We LOVED living there and all the amazing friends we had. So glad we didn't live there this week. It looked awful and some of the stories on Facebook from friends still there were terrible. We had a lot of snow and ice and cold this week, but we also have the infrastructure in place to get through it. Speaking of which, Isaac's school cancelled twice this week. Twice! Goodbye Spring Break. You were the light at the end of this winter tunnel. Maybe we'll see you in June when summer break comes. I totally get it. I mean you can't have kids waiting for the bus when it is negative 4 outside. Or can you? What do they do in Canada, or Minnesota for that matter? Do they cancel all of Jan and Feb for cold weather? I enjoy having him home, obviously. But I also enjoy him having breaks where we can travel and visit the farm. 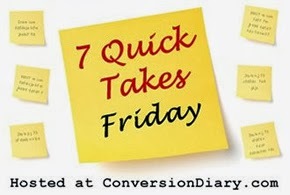 Enjoy more Quick Takes over at Conversion Diary and more Random 5 over at The Pebble Pond. Probably both will contain less whining! 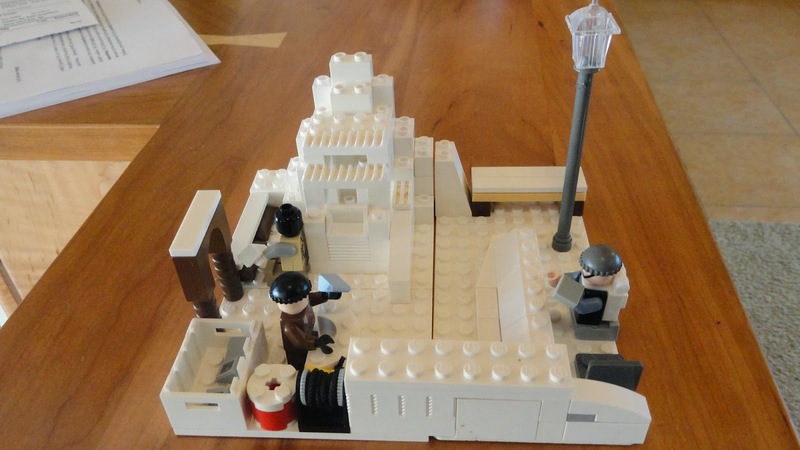 Each month some local families are working on themed LEGO creations to share. This month the theme was 'Winter." There are lots of kids participating and they range in age from 5 to 15. 4 kids are having a snowball fight as mom and dad are coming out with cups of hot coffee to call them in. The 4 kids are behind their snow forts...oh no! Duck! Mom and Dad are coming out to call them in....brrrr....it's cold out here, glad we have our coffee! A Christmas Party. People are dancing, talking, and children are playing. Snowball fight beside a cabin ready for Christmas. Little Boy wrapping present inside. Fathers chatting while children play in the park. 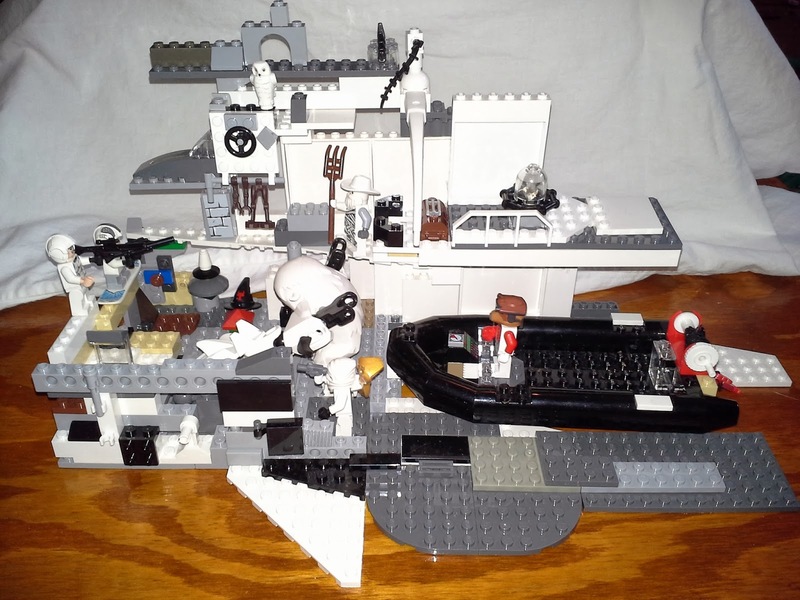 Be sure to check back next month for more unique and themed LEGO creations. Next posting will be February 27! What a neat idea! 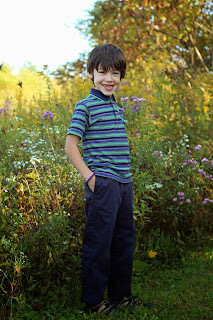 A blog link-up where you share the art your kids have created. 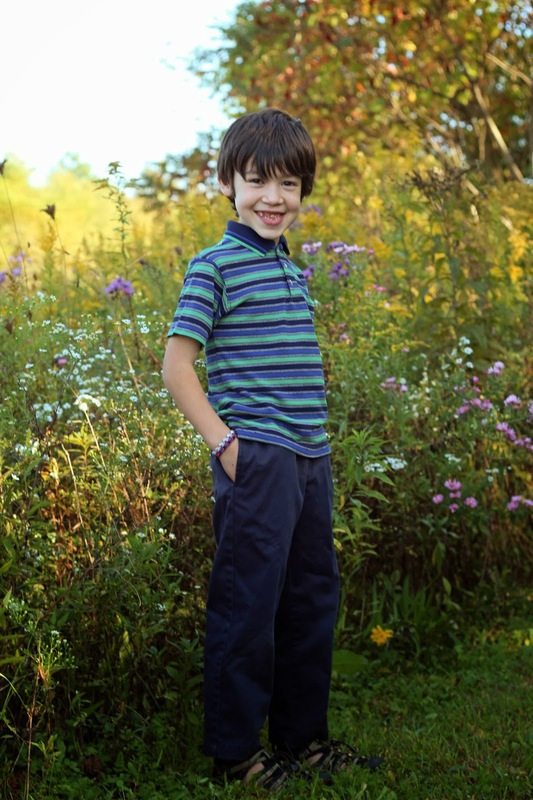 In school Isaac is studying the Northeastern United States. He created a postcard of the Catskill Mountains at sunset. Head over to Every Bed of Roses to see what other art is "hanging!" Funny how the first time when the weather gets really cold and yucky everything gets cancelled and we all hunker down for THE BIG ONE! Now we are in round two and I think this is worse because it is coupled with this blistery snow that stings your face and turns ever horizontal surface into an ice rink. So round two of winter is here and it's just business as usual. By this time everyone is just thinking, "Been there, done that," and "Enough already!" 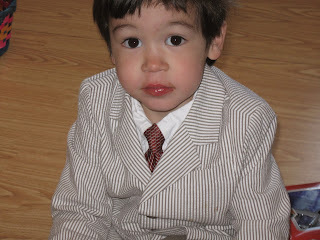 Isaac's school has been delayed a few times, but thankfully they haven't called off again yet. I don't know what the deal is, but as far as I can tell, the schools have snow days every year. Somehow though, the person making the school calendar neglects this fact and doesn't work any extra days into the year for this. Gone now is President's Day and I think a day at Easter/Spring Break (which I might add, is not a glorious week like we had as kids). All you homeschoolers are probably thinking, "This is why we homeschool!" and my homeschooled kids are relieved because they know when the sun comes and the heat bears down the school room becomes the library and drawing room for the season. But those that have had the good fortune to be around Isaac since he started school know what an amazing change the boy has gone through and how this has been nothing but awesome for him and for us as a family. Hard at times, and man do I miss my boy during the day. But even I can't deny the positive from this. Year by year. Child by child. There is no shame doing what's best for your child. I am trying this again this year to see if I can actually stay focused until summer. This month I finished the bedspread I started for Malcolm last year. It is a train-theme (of course) and is officially the third "quilt" I have ever completed. Instead of quilting the blanket I used the train embroidery design to secure the front and the back. I got the pattern off etsy for this blanket and just supplied my own fabrics and embroidery. I only tentatively call this a quilt because I didn't use any batting between the layers and I also didn't use a quilting stitch. It is now on the big bed upstairs, awaiting the day Malcolm moves to the "Boys Room" with his brothers. 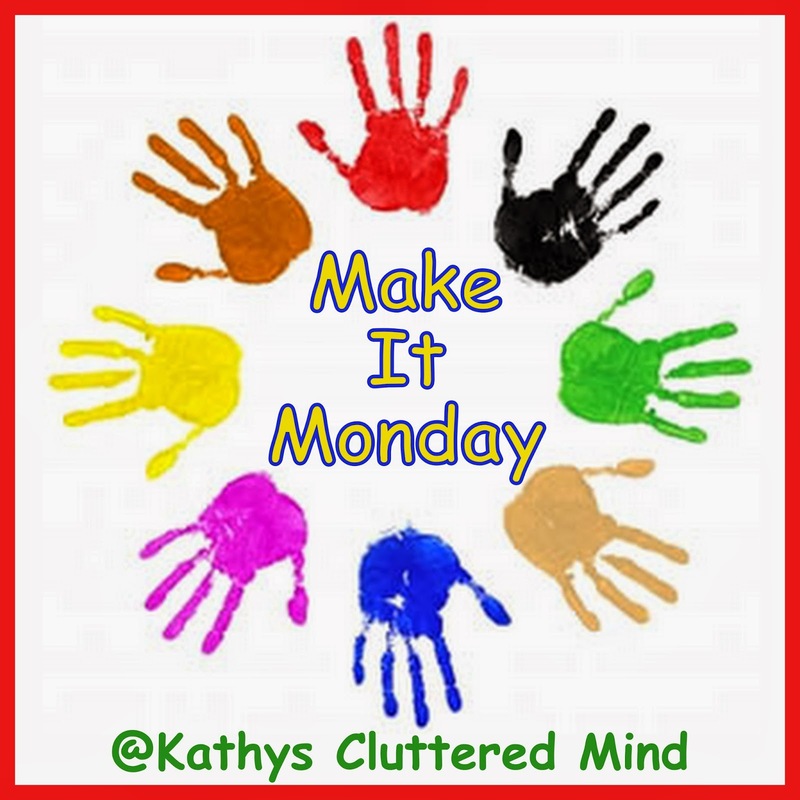 I'm linking up with Make it Monday over at Kathys Cluttered Mind to share some creative inspiration! 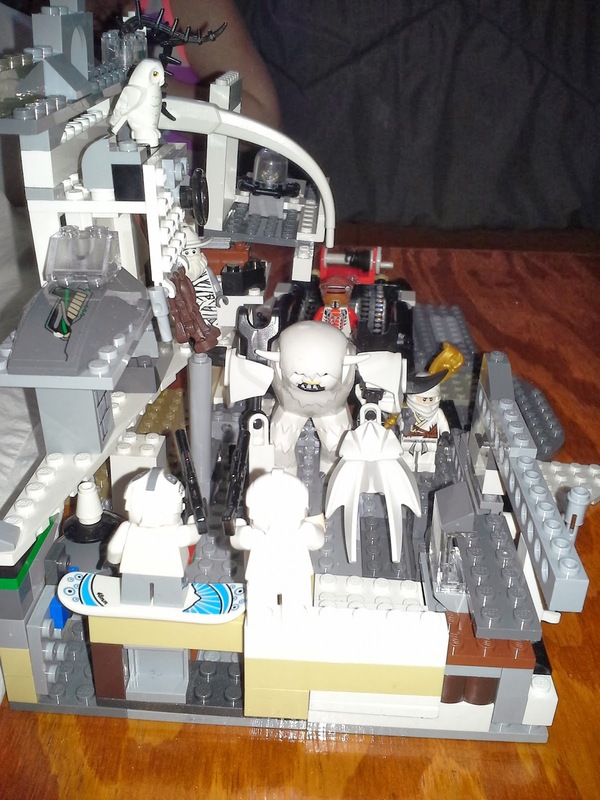 I didn't actually make this, it is made by a friend for a 5 year olds birthday. It was too amazing not to share. Wings are gluten-free brownies, top of plane is gluten-free cake, cupcakes are gluten free, and bottom airplane is regular cake. My kids had some and thought it all was great. Especially the cupcakes. Last Saturday Michael had his reunion dinner for the summer program he runs every summer. It is always a fun event for him and reminded me that it is almost time to recruit for the program. If you are in contact with high school kids (youth group, homeschooling, sports, etc.) and would like some brochures to share, please let me know. Sunday we went to brunch at the house of some friends who also have five kids. It was such an enjoyable way to spend a Sunday. The gal made a potato casserole dish that was to die for! I ate so much of it that I literally felt sick later. Monday was our real day to "get back into things." 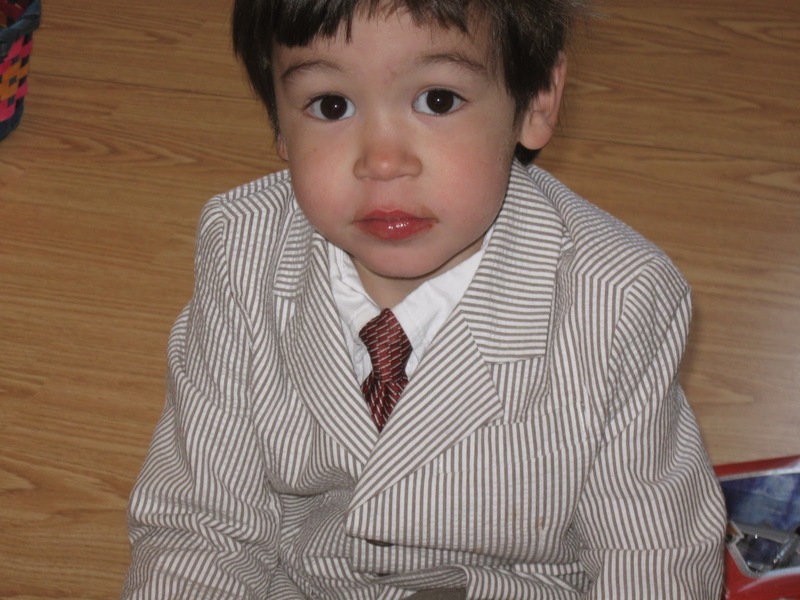 Michael started back to class, Malcolm went to the sitter, and we started our second week of LMCA's second quarter. It's been harder for us to get back into routine and the right thing to do was make spaghetti and meatballs for dinner and split a bottle of wine with my husband. Comfort food at its finest. Wednesday was Henry's birthday party. We rented out the roller skating rink with two other families. It was a lot of fun. I got some photos and will have to post them soon. I just can not kick this bad cold I have. It's not the coughing, runny nose cold. It is more like the sore throat, feeling run down cold. I've had it a week now. Thankfully James is old enough to handle things so on Thursday morning when I had to stay in bed until noon, Michael still went to work and James helped the younger kids with school work and kept them entertained until I felt like I might survive outside of bed. So I am working with the website designer and he is designing the website for LMCA. He is unbelievable! Not only is the website going to look amazing, but he doesn't seem bothered in the slightest by my requests and all. Even when I request something on Monday and do a complete 180 on Wednesday for the same thing. This man is a Saint! More and more I am regretting my decision to shop at Target after Thanksgiving. I don't get out there very often because it is not close to us. But I did shop there once after Thanksgiving and ended up returning my purchase because I found a better price online. I adore Target, and it doesn't appear as though my info was hacked. But everyday there are new levels to the breach and my credit card company issued me a new card as a precaution, and now Target is emailing me advices I get credit monitoring on their dime. I have a friend with four kids and the holidays see them getting iPad-mini's and flat screen TV's. Know what? She doesn't charge a single dime for any of it. Pays cash for the whole Christmas haul. I might have to start following her example. Read more Quick Takes over at Conversion Diary or Random Thoughts at The Pebble Pond. 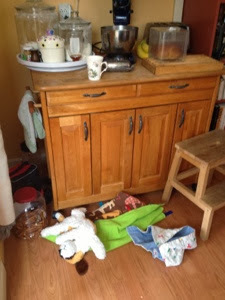 What do you get when you combine one determined kid, 16 months of saving, two years of birthdays, Christmases, Feast Days, countless extra chores, and dozens upon dozens of sacrificed treats and other little things? Determination is what got him here. For 16 months he has saved every penny that has come his way. He has traded gift cards for cash. When everyone else was getting treats at events, Isaac shared in their joy but kept his money in his pocket. 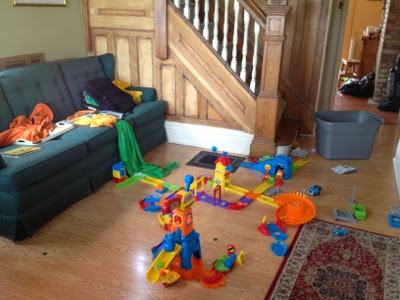 While the other boys saved up for less expensive sets, Isaac held out for the big one. 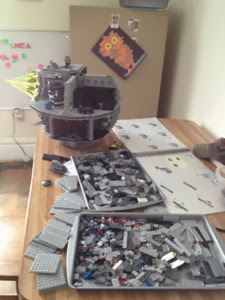 I told him he could use $100 from his savings to help him pay for this monstrous Lego set (retails for $400). In the end he saved enough that he only used $35 from savings. I am so proud of him for reaching his goal. Sometimes it was hard and there were tears. But he stuck to it and all I see now is an ear-to-ear smile! 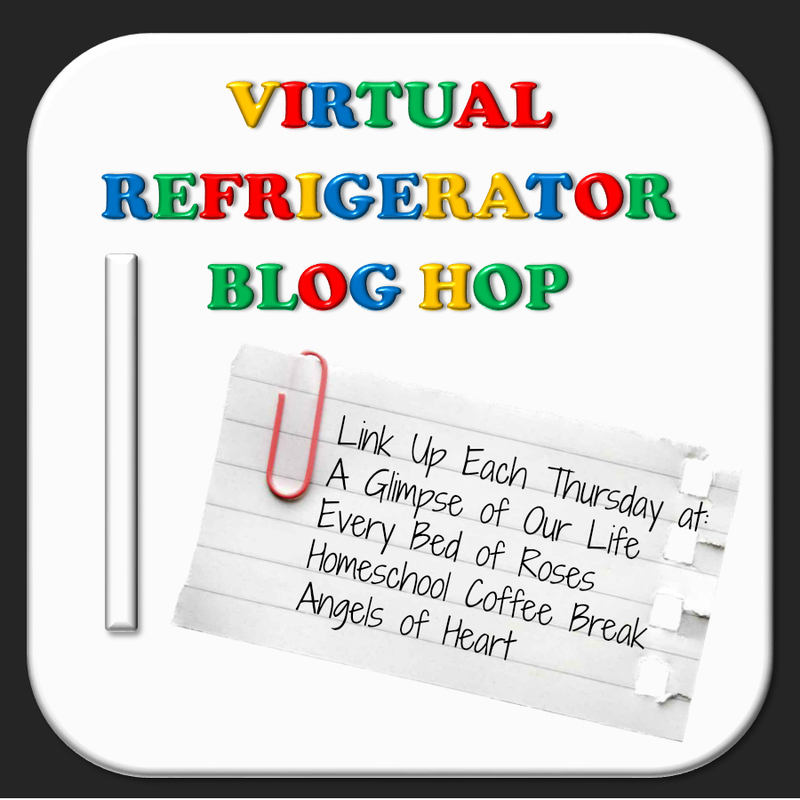 I am once again sharing what makes our homeschooling great during the Virtual Curriculum Fair hosted by Homeschooling Hearts and Minds. Today's theme is Playing With Words: Exploring the Language Arts. There are tons and tons of curriculum out there for reading, writing, phonics, grammar, etc. I don't have jut one "go-to" curriculum per subject in this area. What worked for one kid might not work for the others. I recently abandoned a curriculum I used for six years because I was so tired of teaching it and I found a much easier approach for my kids to master the same material. 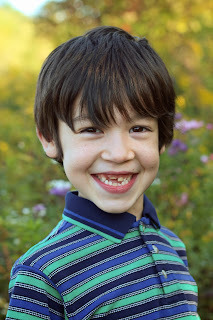 Although I have already taught the three older boys to read, I switched phonics curriculum this year with Margaret to match the curriculum we use at our homeschooling academy. Primary Art of Language (PAL) reading and writing is one of the best programs I have found for teaching kids to read. It uses a multi-sensory approach, meaning that students are doing many different things to master the material. They are studying poems, practicing writing, playing games, and creating. In 30 lessons Margaret has achieved more than she did with a whole year of instruction with another phonics program. It's not a cheap program, but you'll save money in the long run when you don't have to purchase several curriculum to get the results this one will give you. While you're on the IEW website, poke around a bit and see what else catches your eye. We've used several of their programs with success including: Student Writing Intensive courses, Teaching the Classics, Fix-It Grammar and Editing (first book only), Linguistic Development Through Poetry Memorization, and several theme-based literature units. Overall I think their products are well-developed and worth the money. 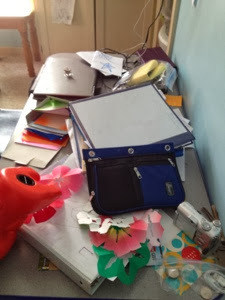 So I've used all those in the past, but what are my homeschooled kids using this year? For grammar and spelling we love the series from JacKris Publishing: Growing with Grammar and Soaring with Spelling. I love that these are self-directed and require very little support from me. Sounds selfish? 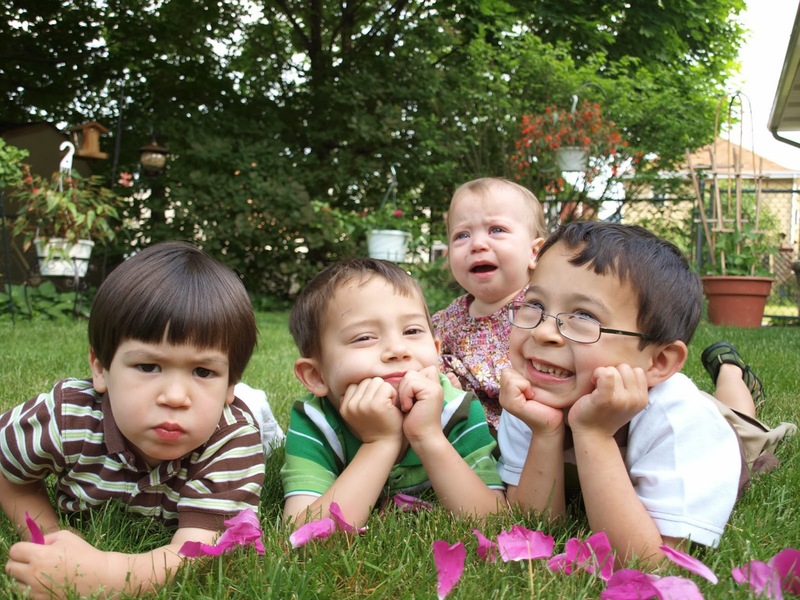 Well, I am trying to homeschool three kids at different levels, plan and teach eight classes a week and a homeschool academy, help a traditionally-schooled kid keep up with his homework, chase a two-year old, and keep up a house. These books are exactly what I needed to make sure they are developing necessary language arts skills. We are so fortunate to have our homeschool academy where my kids get individualized writing and literature instruction twice a week. I still have them occasionally complete lessons in another self-directed writing curriculum called Essentials in Writing. This video instruction course covers all the basics of grammar and writing and has a nice work book component for kids to practice the skills taught. What works for my family might spell disaster for yours, and vice-versa. I think it is so important to remember that even if you as the teacher love the curriculum, if it's not a good fit, it's not a good fit. I have sighed many times when something I was over the moon about has brought nothing but tears to my learners. Homeschooling, like everything in life, is not a "one size fits all" or a "One size fits most." I think it is more the needle in the haystack. When you find what works, it's one in a million. Check out what others are blogging about in terms of the Language Arts by clicking here! Hard to believe that eight years ago this morning I delivered a baby in a parking lot with my husband and a security guard by my side. His birth itself is such an amusing tale, and it kind of set the stage for this amazing person who has enlightened and entertained us from the very beginning. Sweet Henry, you are a light in our lives and fill our hearts with joy.